The Club began as a sole snooker club until the players decided to shift to the more modern game of 8, 9 and 10 Ball. 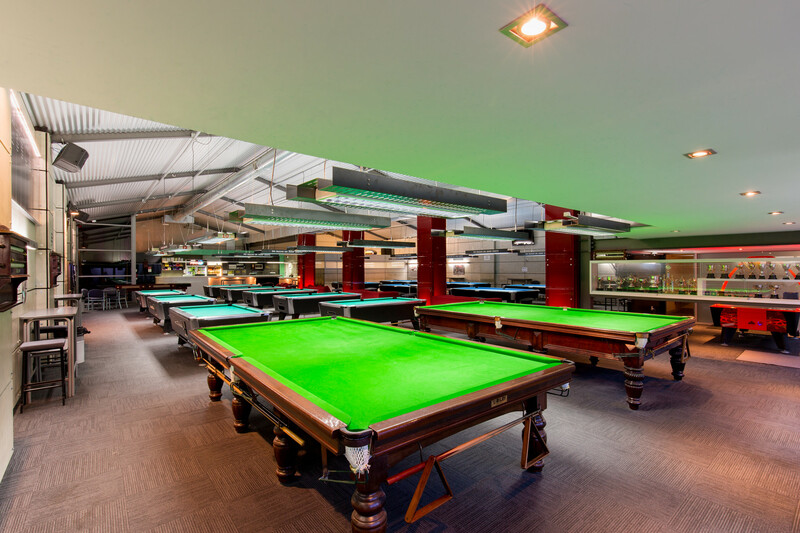 Now, each of our four Clubs have at least 1 snooker table so our members can enjoy multiple cue sport games. Snooker is an extremely strategic game played with 22 coloured balls, the cue ball and a cue. Balls must be potted in a particular sequence where players will gain the most points to win. Each coloured ball represents a different amount of points, red being the lowest with each ball worth 1 point and the black ball being the highest giving you 7 points per pot. Make sure you come down to your local Club and give snooker a go!